It’s raw. It’s unedited. It was recorded exclusively on my cell phone. It’s something I’ve been talking about doing for a long time. Hope you enjoy. Go Cats. Thanks to all my guests. Please go follow them on Twitter. Any feedback is much appreciated. 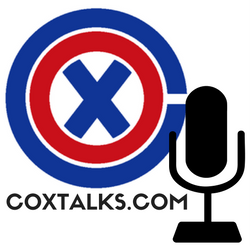 Next COXTALKS EPISODE 2 IS LIVE!